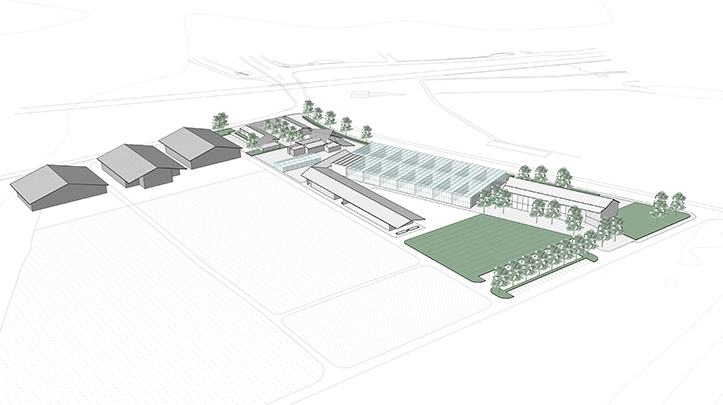 Located at one of the entrances to campus on approximately 5.5 acres, the Plant Sciences Complex will be comprised of a learning center, next to Cal Poly’s plant production fields, to support specialty crop and managed environment production. It will include support for teaching and applied innovation in soil health, water and air quality, plant harvesting and processing, and food safety, as well as a site for automation and systems testing. Programming, underway, will include several of the college’s departments: Horticulture and Crop Sciences, Bioresource and Agricultural Engineering, Natural Resources Management and Environmental Sciences and the Wine and Viticulture departments as well as the Cal Poly Strawberry Center. Fundraising for the project is now underway.